Children are naturally curious about the world around them, always asking, “Why?” “What is that?” “How does that work?” “Why is that happening?” Their curiosity leads them to explore their environment, problem-solve, invent, and discover new things, which ultimately leads to future learning and development. Teachers listen carefully for their questions and then begin to support them in creating theories. In the twos classes, children opened up a pumpkin and pulled out the seeds. • How many seeds are there? • What can we do with the seeds? • Where do the seeds come from? Teachers respond to the questions by joining the children in the curiosity and wondering alongside of them. These conversations lead to seeds being planted, cared for and ultimately new pumpkins growing in our garden. 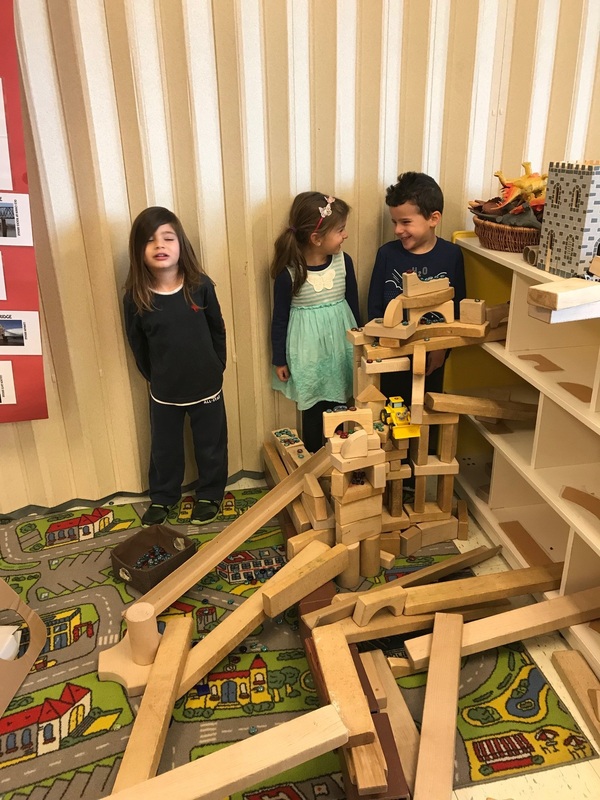 In the threes as children build in the block area they use small blocks to prop up an inclined plane. Soon they begin to explore and expand on their play. • Can the car slide down? • Will this go faster? Teachers record these observations and questions and use them as an impetus for a study of ramps, force and motion. 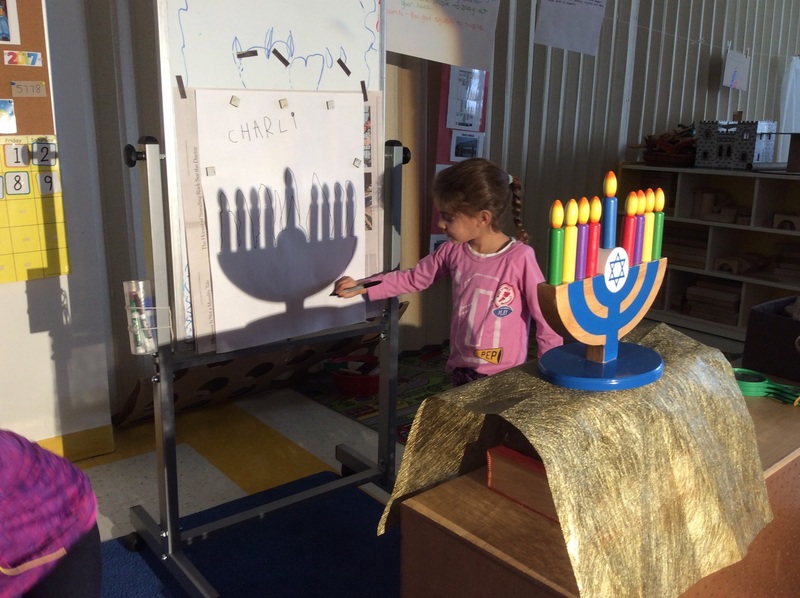 In the fours children wondered about the Chanukah candles. • What makes them burn? • How long does it take till they melt? • Which candles burn the longest? They go on to experiment and come up with different ways to answer their questions. Teachers encourage them and allow the children to see themselves as scientists. Scenarios like these are happening in our classroom all the time. 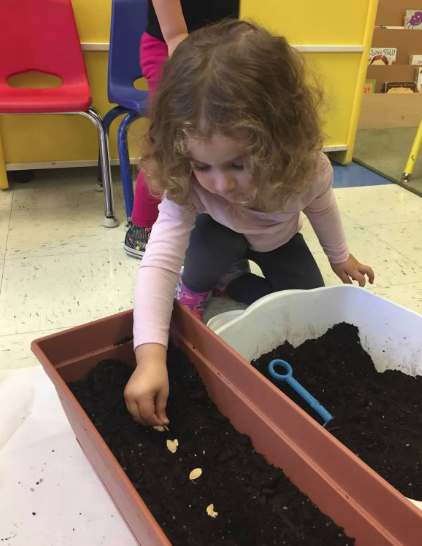 By allowing children’s natural spirit of curiosity and experimentation to guide our learning, we are assuring that STEM is alive and well in the ECC. Come learn more about how we encourage STEM learning, the trajectory of skills that children master in the different grade levels, and ways parents can support our efforts at home. We will have a workshop for parents dedicated to STEM on Thursday night April 26th. Come hear members of the faculty speak and present samples of the math and science curriculum in our school.